Climate policy has become bogged down in the debate over a clean energy target. Malcolm Turnbull’s government has been wrestling with the prospect of a clean energy target ever since Chief Scientist Alan Finkel recommended it in his review of Australia’s energy system. But economist Ross Garnaut has proposed a path out of the political quagmire: two clean energy targets instead of one. Garnaut’s proposal is essentially a flexible emissions target that can be adapted to conditions in the electricity market. If electricity prices fail to fall as expected, a more lenient emissions trajectory would likely be pursued. This proposal is an exercise in political pragmatism. If it can reassure both those who fear that rapid decarbonisation will increase energy prices, and those who argue we must reduce emissions at all costs, it represents a substantial improvement over the current state of deadlock. 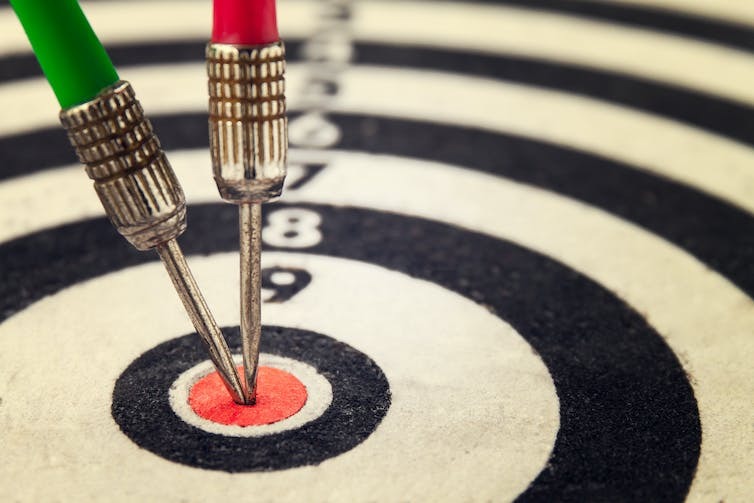 Will two targets increase investor certainty? At a recent Melbourne Economic Forum, Finkel pointed out that investors do not require absolute certainty to invest. After all, it is for accepting risks that they earn returns. If there was no risk to accept there would be no legitimate right to a return. But Finkel also pointed out that investors value policy certainty and predictability. Without it, they require more handsome returns to compensate for the higher policy risks they have to absorb. At first sight, having two possible emissions targets introduces yet another uncertainty (the emissions trajectory). But is that really the case? The industry is keenly aware of the political pressures that affect emissions reduction policy. If heavy reductions cause prices to rise further, there will be pressure to soften the trajectory. Garnaut’s suggested approach anticipates this political reality and codifies it in a mechanism to determine how emissions trajectories will adjust to future prices. Contrary to first impressions, it increases policy certainty by providing clarity on how emissions policy should respond to conditions in the electricity market. This will promote the sort of policy certainty that the Finkel Review has sought to engender. Speaking of political realities, could this double target possibly accrue bipartisan support in a hopelessly divided parliament? Given Tony Abbott’s recent threat to cross the floor to vote against a clean energy target (bringing an unknown number of friends with him), the Coalition government has a strong incentive to find a compromise that both major parties can live with. Read more: Abbott’s disruption is raising the question: where will it end? Turnbull and his energy minister, Josh Frydenberg, who we understand are keen to see Finkel’s proposals taken up, could do worse than put this new idea on the table. They have to negotiate with parliamentary colleagues whose primary concern is the impact of household electricity bills on voters, as well as those who won’t accept winding back our emissions targets. Reassuringly, the government can point to some precedent. Garnaut’s proposal is novel in Australia’s climate policy debate, but is reasonably similar to excise taxes on fuel, which in some countries vary as a function of fuel prices. If fuel prices decline, excise taxes rise, and vice versa. In this way, governments can achieve policy objectives while protecting consumers from the price impacts of those objectives. Of course, even without the various ideologies and vested interests in this debate, many details would remain to be worked out. How should baseline prices be established? What is the hurdle to justify a more rapid carbon-reduction trajectory? What if prices tick up again, after a more rapid decarbonisation trajectory has been adopted? 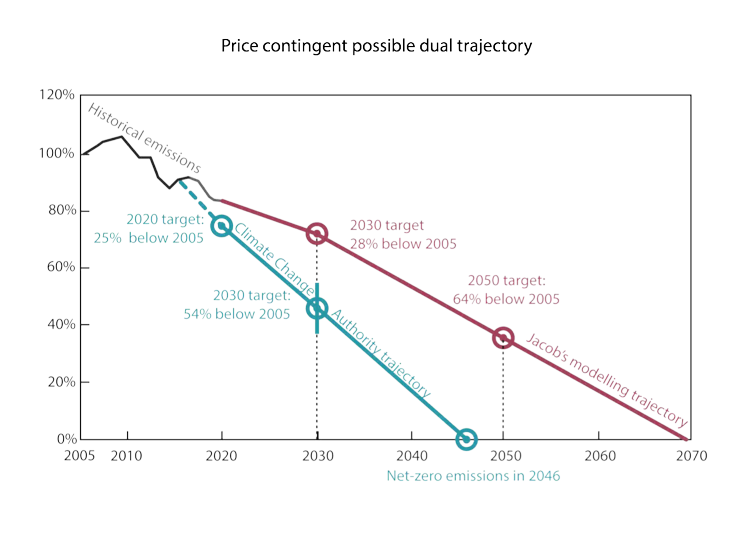 And what if prices don’t decline from current levels: are we locking ourselves into a low-carbon-reduction trajectory? These issues will need to be worked through progressively, but there is no obvious flaw that should deter further consideration. The fundamental idea is attractive, and it looks capable of ameliorating concerns that rapid cuts in emissions will lock in higher electricity prices. For mine, I would not be at all surprised if prices decline sharply as we begin to decarbonise, such is the staggering rate of technology development and cost reductions in renewable energy. But I may of course be wrong. Garnaut’s proposal provides a mechanism to protect consumers if this turns out to be the case. They encourage us to ignore the fact that – according to criteria accepted by both Labor and Coalitions governments and now met because of the rising ambitions and efforts of major emitters elsewhere – Australia’s target should have increased to -15% by 2020. It is notable that – again – no major emitters in the energy and resource sectors were among the successful bidders. In other words, the major sectors involved in producing Australia’s emissions are not engaged by this scheme.